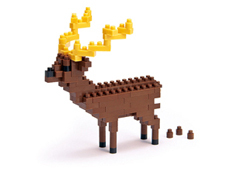 Create 3D works of animal art with nanoblock. These micro sized building blocks will enable you to execute even the finest details like never before. 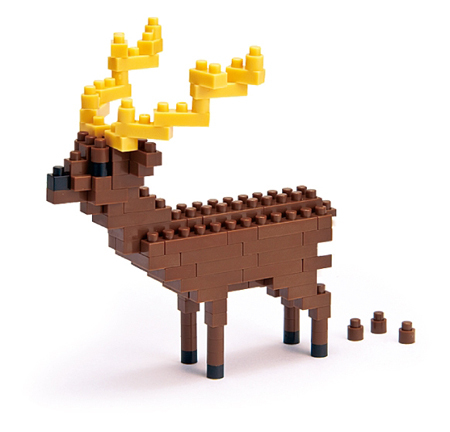 With over 140+ assorted size pieces, watch in amazement as this little reindeer takes shape right beneath your fingers tips. With a finished size of 2.125" width X 2.75" depth X 3.125" height, this reindeer fits perfectly in the palm of your hand.